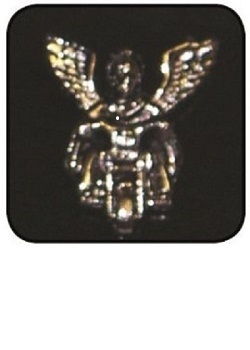 Image of an angel on a motorcycle. The guardian angel protects you on the road. Single clutch on back.